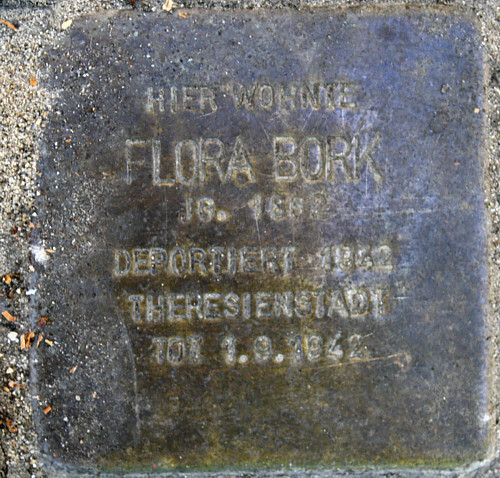 Until 1939, Klara Alexander (1879 - 1942) und her aunt Flora Bork (1862 - 1942) lived at Buschmühlenweg 2a (today number 3). Both women were single and neither had children. 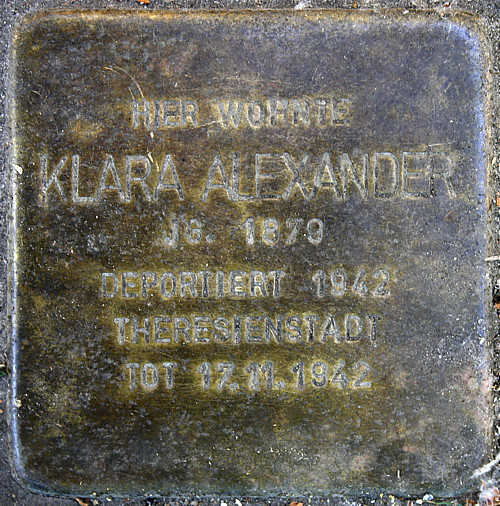 In 1939, Klara Alexander was forced by the authorities to move into her aunt's room in Rosenstraße 36. In August 1932, Klara and Flora were deported to the Theresienstadt ghetto, where they died a few moths later.